Around the world, people have figured out that you don’t have to eat meat everyday (multiple times a day) in order to have enough protein for a healthy body. However, us Americans can totally be guilty of thinking of every dish as being a way to highlight the meat as the star on the plate. I’m totally guilty of thinking that way….the show stopper chicken, the dazzling steak, the gorgeous fish dish….all coaxed into full flavor and color by side dishes that set the meat off beautifully. It’s not bad, actually it makes for a fabulously delicious meal….but could it be advantageous and healthy for us to side step the meat-centric meal planning, at least once a week?? I’m thinking what’s good for the rest of the world, may be good medicine for us, too. Yes, I know that what I’m about to propose to you is laden with infamous carbs….but the nutritional beauty of this dish is that when you combine beans with rice you get a more complete protein than even a steak can serve up! So cool….and did I mention, totally delicious! 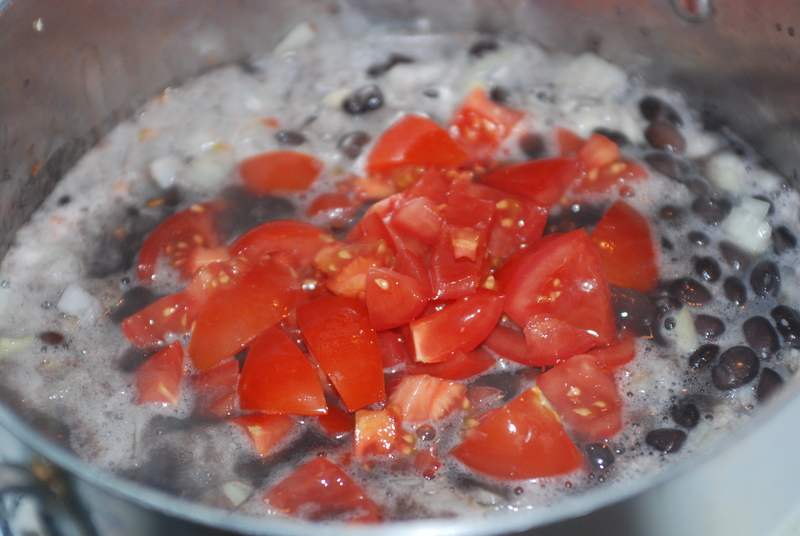 Starting with chopped onions and three cans of black beans (not drained), I added a healthy dose of chopped, sweet tomatoes (can you believe that color??? Comapri Farms tomatoes from Costco….tomatoes on the vine are sooooo sweet). 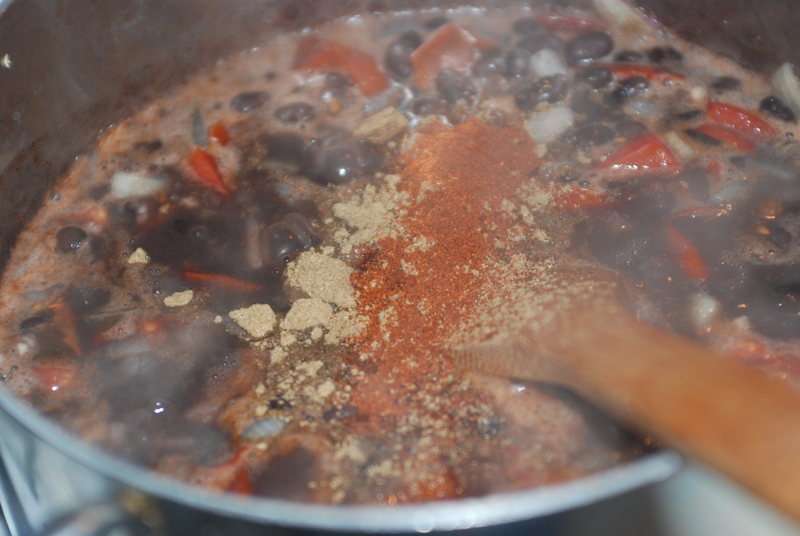 Next for the minced garlic, and then come the spices: cumin and pico de gallo seasoning. 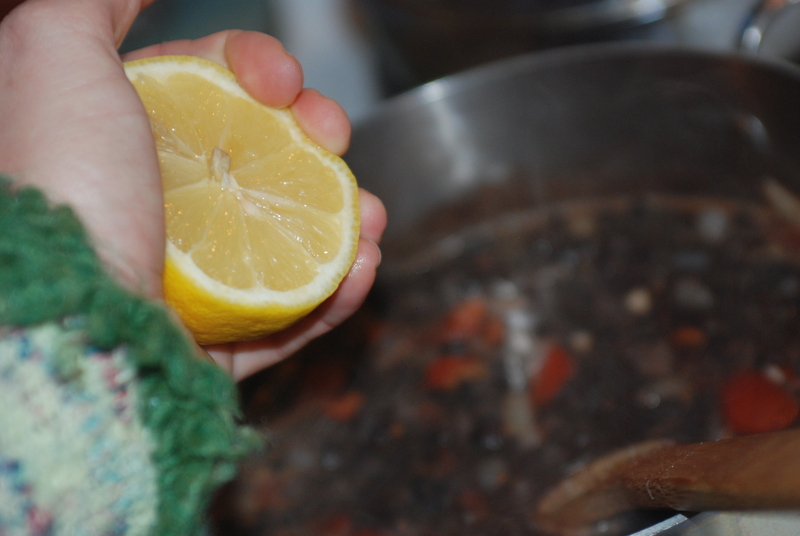 Once the onions are softened, add a good hit of lemon juice and it’s ready to serve up over rice. This dish is full of flavor, it’s easy on the pocket book, quick to make, good for the body AND the kids pounded it like they hadn’t eaten for days! What’s not to try??? Healthy CAN be easy! 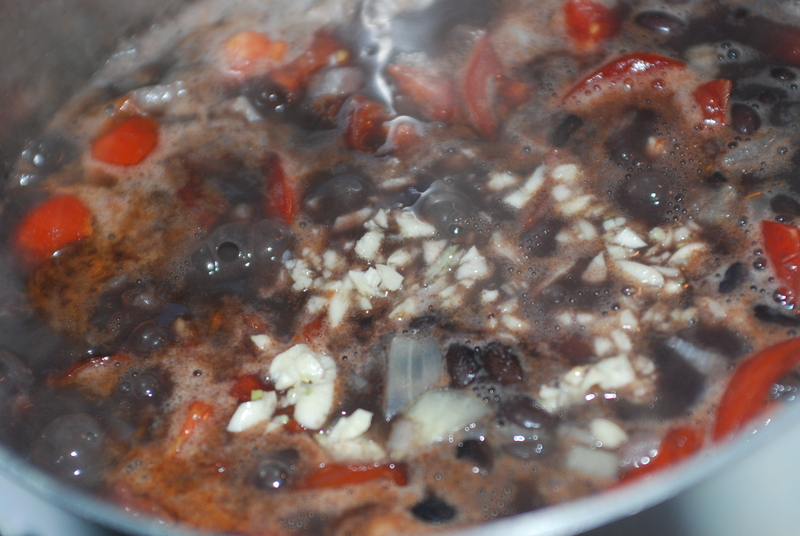 Combine all the ingredients and heat through, simmer just til your onions are soft. 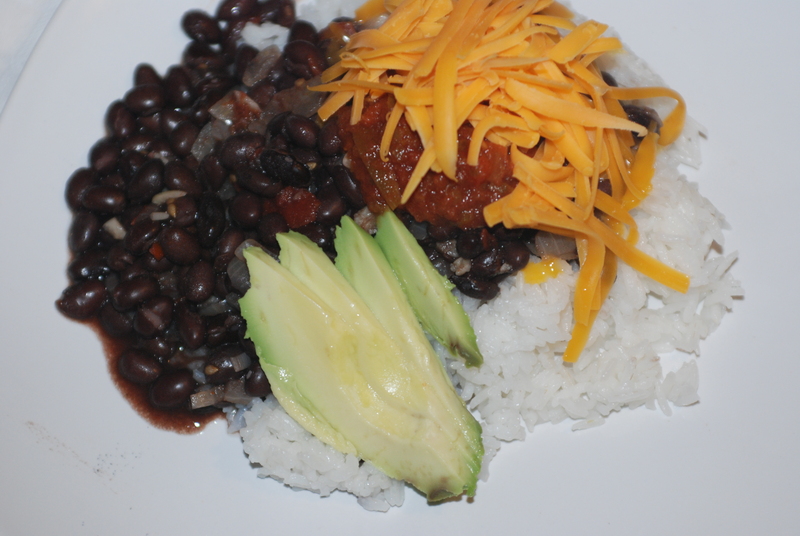 Serve over simple rice, top with salsa, avocado and some shredded cheese if desired. Now eat up and feel strong!